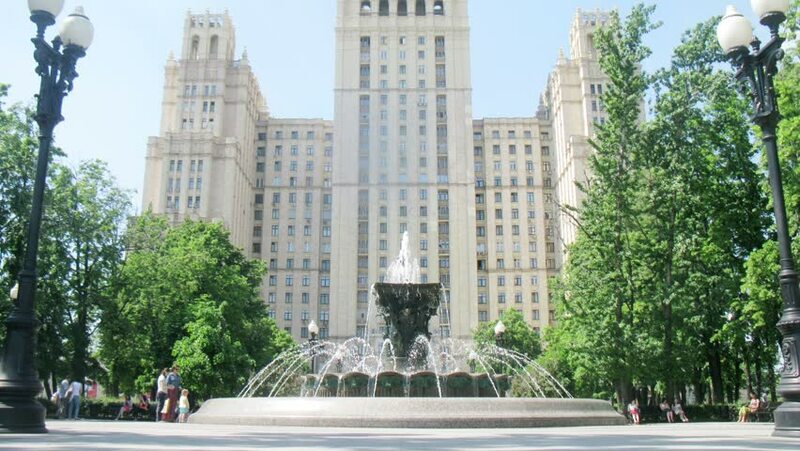 MOSCOW - MAY 23, 2014 (Time lapse): Kudrinskaya Square Building in Moscow at spring day. Time lapse. 4k00:12A high angle daytime establishing shot of Union Square Park with the Manhattan skyline in the distance. 4k00:23Montreal, Quebec, Canada - August 24, 2018: Students walk along a pathway in downtown Montreal, Quebec, Canada by the McGill University Campus.